The Kilbourne Wolves continued their winning streak by beating Hilliard Bradley 20-5 on the road Thursday night (4/11). Kilbourne now moves to 7-1 overall on the year. Kilbourne took command of the game from the outset leading 6-1 after the first quarter and stretching the lead to 9-3 at halftime. Kilbourne really blew the game open with an 8 goal third quarter that put the contest out of reach. The story of the game though was the record breaking performance by Junior Attackman Will Alban. 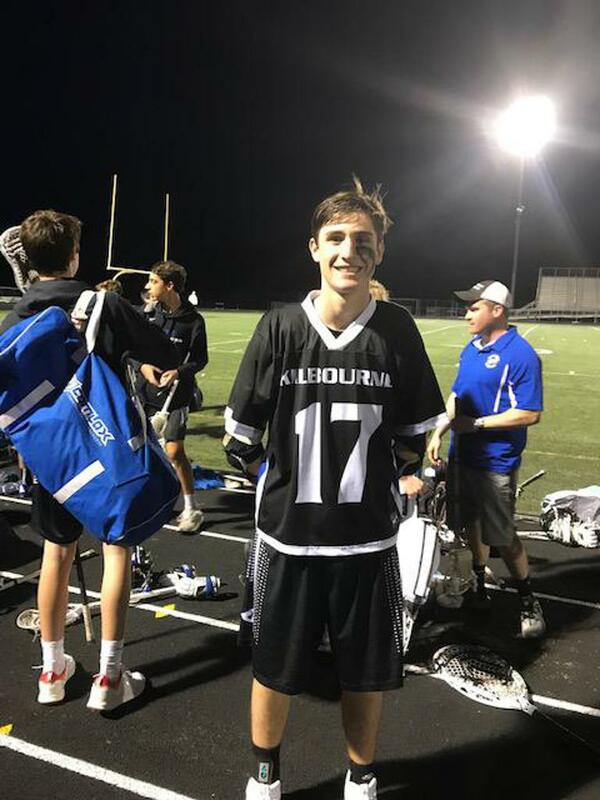 Alban (official post film review) broke the WKHS single game assist and total point record with an amazing 13 assists on the night coupled with 2 goals -- combining for a 15 point performance! The previous single game assist record was 8 by Matt Knott in 1996. The previous single game point record was 12 also by Matt Knott in 1996. Alban's historic night breaks records that stood for more than 20 years. The latest Wolves' win now sets up a big interstate clash with traditional Indiana powerhouse Cathedral who will visit WKHS this Sunday at 1:00pm. The game is also "WYB Day" so all Worthington WYB players get in free with your jersey. Please come pack the house and support the Wolves! Kilbourne JV also notched another win by beating Hilliard Bradley 15-1. Kilbourne JV played especially strong in the first and last quarters outscoring Hilliard Bradley 13-0 in those 2 periods with a plethora of players notching goals and assists. Kilbourne JV is 6-2-1 on the season overall and has a stand alone game Saturday against Cleveland St. Ignatius at WKHS.